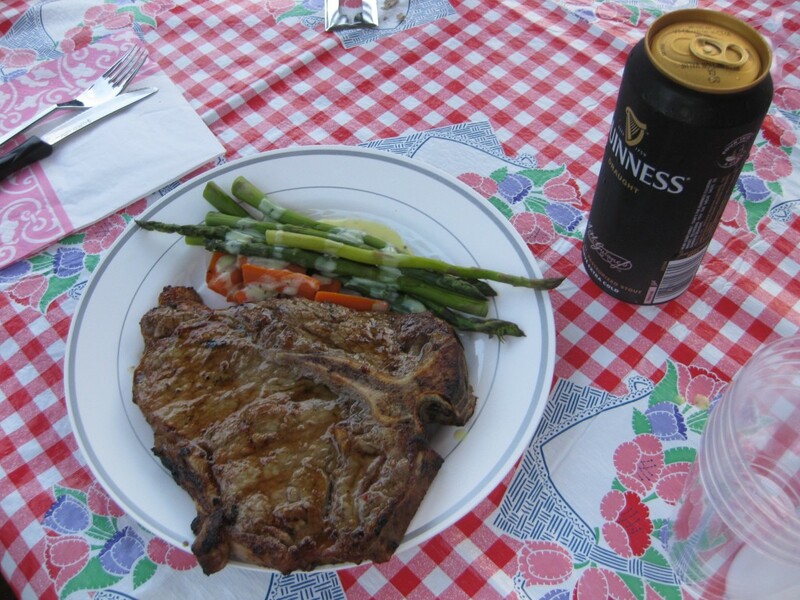 here’s a mix entry….both a home meal and one that is outside of nyc! at theresa’s md home! as the magical fall descends, we will finally be able to travel as zoe has hit that critical three month mark. we passed on many a wedding and opportunity to travel in between her birth and this past weekend. up first, we have maryland on our mind. we’ve been painting the wrong picture for you…..we don’t eat out all the time…we actually cook a lot. especially after theresa finished classes at the french culinary institute. so as we transition into our baby days and eating out less….here are some of the everyday things we eat…because we cook them on a regular basis…as well as some food that we ordered in…..
up first at zoe’s 100 day celebration was lunch which was a crab fest. theresa’s parents order a few boxes of female crabs which contain the coveted eggs as a bonus eat. i’m not that into crabs but of course theresa is super into them. not being used to opening them, i am prone to get cuts…and then i don’t even do it right leaving not enough meat exposed…and wasted. i wind up being very hungry….and angry. 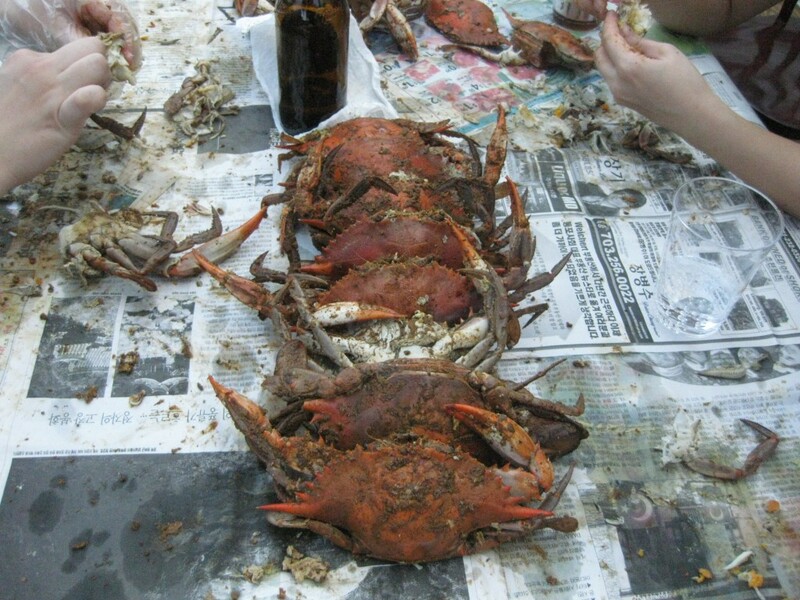 so theresa and i have a deal….she can order crabs. but she has to help me dig out my meal. if it were up to me, i’d be ordering crabcakes! these crabs are so much work! but that’s part of the experience that she looks forward to. for dinner, something more to my liking….and i’m not the only one. 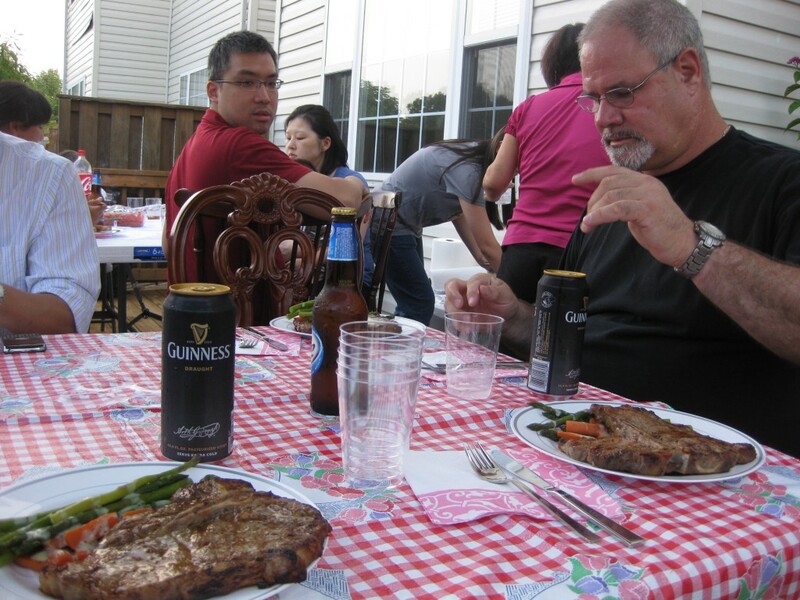 uncle rob, the white guy in the family, marinates and grills a great steak. i offer to pick some guinness and we share an irish moment together as i’m thinking about my boy q’s recent trip to ireland and my upcoming vacations to see theresa’s irish friends. 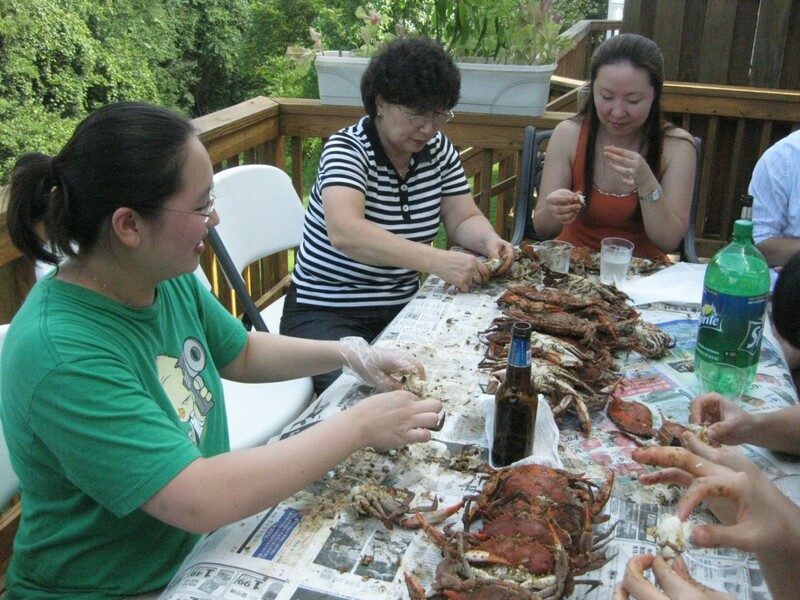 a yummy fulfilling day with family…at home, our maryland home.